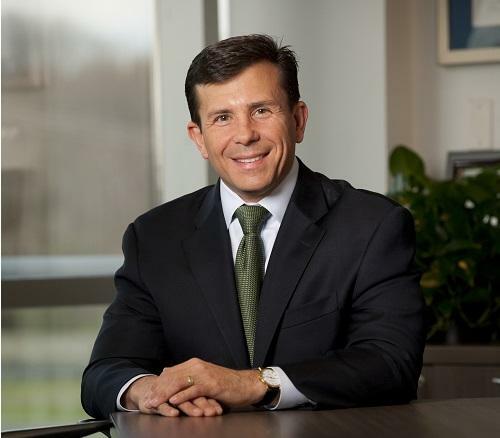 Pharmafocus spoke to John Crowley, CEO of Amicus Therapeutics, about his highly unusual career in the pharmaceutical and biotech industries. So impressive was his determination to successfully develop a therapeutic to aid his two children's battle with Pompe disease that Hollywood made a film of his journey. It’s perhaps one of the most often repeated stories in the industry but could you explain how you came to work in your current position? By happenstance, I suppose – that’s the simple answer. I never intended to work in the pharma/biotech world, it came to be a job and a career of necessity and has become, over the course of two decades, a labour of love. Just last month it was 20 years, on 13 March, that we first heard the words “Pompe disease”. At that time, our daughter Megan was then 15 months old and we were told that she had a rare form of muscular dystrophy called Pompe disease. We were told that she lacked an enzyme that, in healthy people, breaks down sugar, stored in the form of glycogen in the muscle, and that without that functioning enzyme she wouldn’t live to be two years old – that was the initial prognosis. We were also told that our son, Patrick, had a 25% chance of having the disease also and that he should be tested. There was a one in four chance that he would have it and in fact he did have it, so that launched us into this world of science, medicine and research. It was an entirely new world for us and, in many respects it was a race against time as much as it was against nature. I suppose early on I never really thought or believed that we could change the course of the disease in our children, but we didn’t want to look back 20 years later and wish that we had done something else. We were launched into this world for two years, finding everything we could about this disease: meeting researchers, going to conferences and raising small amounts of money for not-for-profits. More out of frustration than anything else, by March 2000, once the kids were in wheelchairs and on ventilators, we said: “Let’s go ahead and put all our cards on the table”. So, we helped to start a tiny biotech company, which we started with a home equity loan from our first house. The company, called Novazyme Pharmaceuticals, before it became part of Genzyme, eventually led to the first generation treatment for Pompe disease, which saved our kid’s lives and the lives of many other people living with the disease. You took a huge risk by putting everything on the line in your search for a treatment for Pompe disease – how did you deal with the pressures involved? There was a lot of concern, certainly when leaving my job as Marketing Manager for Bristol-Myers Squibb; I had a secure career there, it was a good job with good people and good health insurance. We made the decision to give all that up. It was a long weekend in March when we were thinking about that and I tend to be the more analytical one in the marriage, so I had all the pros and cons listed. Aileen just said: “You can’t put this together on a spreadsheet – you’ve just got to go with your gut”. You entered the industry as something of an outsider, did that end up being beneficial in your search for a treatment? Looking back, it caused me to take a lot of risks I otherwise wouldn’t have taken if I had known what I was doing. In some respects being naïve actually helped. We moved at an incredible pace; Novazyme went from that $100,000 home equity loan to $1 million dollars raised through angel financing through 37 investors to $37 million in venture capital, and from the four of us that started the company to 100 people working at the company – all of that happened in one year. We worked seven days a week, never took a break, 15-18 hours a day; we had a lot of determination, a lot of passion and it was an incredibly young, motivated company. We knew we were very clearly focused on the mission. If I were to start out again, knowing what I know now about drug development and running a biotech, there’s a number of risks that I wouldn’t have taken because they were too high-risk but, frankly, if we hadn’t taken them, we would have beaten nature but we wouldn’t beaten time to save my kids. How did this step, after developing the treatment, lead onto founding Amicus Therapeutics? We came upon an initial technology, out of Mount Sinai School of Medicine in New York City, where it was a small molecule approach – a pill known as a pharmacological chaperone. The first medicine being developed was for Fabre disease but we thought it could have broad applicability to other rare diseases. With that, we had a platform and an investor base, after having successfully sold our first company, as well as having a vision to build one of the next leading biotech companies focused on rare diseases. From there, five of us, beginning with just two cubicles, one bench and a shared lab on Route One in New Jersey, launched Amicus. The initial impetus was to launch a drug for Fabre disease, which we’ve now done with approvals in EU and in Japan for Galafold, hopefully also in the US soon. We hope to be able to use that technology and other technologies by licensing in and developing our own within the company, to make a portfolio of medicines to help those with rare diseases. That’s the mission we’re still on today. What have been issues so far in getting approval in the US? It has been a longer regulatory path in the US. Originally the FDA requested a different Phase 3 study, asking to compare Galafold with placebo treatment. European regulators asked for us to compare to existing standards of care. It was two different paths from the start, with some twists and turns along the way, but the upshot is that the FDA agreed, last summer, that we could move forward with filing our NDA in the US. We submitted that in December of last year and two months ago, in February, the FDA accepted the filing under Priority Review – so, we’re now on a path to a decision date of 13 August. In your opinion, has the FDA begun to change its approach in the last few years? I think there has been a growing evolution within the FDA recognising the importance of the unmet need of people living with rare diseases. I also think you’ve seen an elevation of regulatory science over the last year or two; we’ve seen the FDA employing advanced science and having greater resources, authorised by Congress, to bring higher-level science to bear in looking at these new technologies. Essentially what they’re doing is applying specific risk-benefit assessments individually to each disease and each proposed drug technology, rather than a cookie cutter approach. Do you believe the patient’s voice is now beginning to be heard across the industry? We’ve tried from day one to position Amicus with the patient voice at the centre; even when we founded the company, we chose the name ‘Amicus’ because it is the Latin for ‘friend’. One of my first 10 hires was a patient advocate and today we are the only company with a Chief Patient Advocate who reports directly to me. I think it makes for good business and better drug development, but I also think it emphasises what our mission at Amicus is. I always believe that if we focus on the science, if we make great medicines and get them to as many patients as quickly as possible, we will build a great business. As part of your commitment to patients, Amicus has ‘pledged to cure’ the rare disease in which you have a marketed product. Why was this decision taken? Nobody has ever done this before. Think about this: if you’re a patient with a rare disease and you’re grateful for the research that went into it but you’re also mindful that this is a long-term relationship, with the ultimate objective being a cure. I think it’s our corporate responsibility that we take a significant portion of our drugs sales and reinvest it, not just in new R&D, which we’ll do, but to put it back into research for that specific disease. If you’re a patient and taking one of these therapies – to know that the company cares about you in the long run, not just a product, it has a tremendous impact on the nature of that relationship. It also makes good business sense: somebody, someday, is going to obsolete our treatments and we want to be the ones that do that – the end goal is to find a cure. At the end of the day, it’s just the right thing to do.